In 2003, Doug Humes began leasing space for his law office in an old Bryn Mawr mansion. His curiosity about the original owners, the Jacobs, sent him on a quest to find their story, and over the years he collected photos, genealogy, and stories on the family, and finally the Holy Grail was delivered to his office – a two volume set of wedding photos from the 1938 wedding of daughter Louise Jacobs to dashing pilot Hubbard Phelps. Humes took the photos and added music to create a wedding video. He will give an introduction to the Jacobs family, followed by the 20-min. wedding video, and then tell about what happened to the principal players after that wedding day. Come out and enjoy an actual “Philadelphia Story! Doug Humes is an attorney, writer and lecturer and has been involved in various capacities with the Newtown Square Historical Society for 25+ years, and currently serves on the Marple Township Historical Commission and the Delaware County Heritage Commission. Philadelphia’s grand mansions and architectural treasures reflect its iconic status in American history, for each Greek Revival home and Corinthian column tells a compelling story of the people behind it. Historic Strawberry Mansion in North Philadelphia was home to Judge William Lewis, a Patriot who defended colonists accused of treason and was Aaron Burr’s defense lawyer. Socialite, millionaire and world-renowned art collector Henry McIlhenny made his home at Rittenhouse Square and left his art collection to the Philadelphia Museum of Art. Famed architect Addison Mizner’s Spanish Colonial Revival house La Ronda brought the stark contrast of South Florida to Philadelphia. Author Thom Nickels will present stories from his recently released book, Philadelphia Mansions: Stories and Characters Behind the Walls. His lecture will focus on the historic mansions and the people behind them, including Fairmount Park’s Strawberry Mansion, the galloping life of Hope Montgomery Scott in and outside the gilded halls of Ardrosson and Loch Aerie Mansion in Frazer (next door to what is now Home Depot), an estate which was nearby Nickels’ childhood home. The author of 13 books, including Philadelphia Architecture, Out in History, Two Novellas and Literary Philadelphia: A History of Prose & Poetry in the City of Brotherly Love, Nickels has written extensively for many publications including The Philadelphia Inquirer, the Philadelphia Daily News, Philadelphia Magazine and City Journal, New York. The King of Prussia Inn (c. 1756), “The Sign of the King” welcomed visitors for almost 200 years, and may have been the source for the town receiving its name. A day’s ride from Philadelphia, it was a meeting place for locals and for travelers alike, where the news of the day was discussed over a drink or a hearty meal. Learn how during the winter of 1777-78, the Inn was a popular haunt for both patriots and loyalists alike. Hear how the very location that created its popularity would eventually lead to its demise, first in 1952, when it was decided that US Route 202 needed to be widened from two lanes to four, thus stranding the Inn on an island in the center, and again in 2000, when it was decided that the historic 550-ton structure needed to once again be spared from the wrecking ball, and the only option would be to pick it up and moved less than ½ mile away to safety. Michael Morrison is the President of the King of Prussia Historical Society (est. 1953) and a member of the board of directors of the Tredyffrin Easttown Historical Society (est. 1936). He is the author of three books pertaining to local history, and a third-generation antiques dealer and appraisal consultant. A graduate of Eastern University in St. Davids, PA, he is currently involved in historic restoration and architectural interior design. His background has given him a unique perspective as it relates to the identification of historic locations long since lost to progress, and he has personally helped restore and preserve two historic properties in Chester County, as well as countless artifacts and manuscripts. In the words of Morrison, “If you are unaware of your past, you are destined to repeat it, and not even know why”. * The Trust is grateful to Dr. Harold Sweetman and the Jenkins Arboretum & Gardens, for their generous sponsorship of the “The History of the King of Prussia Inn” lecture on May 23. Plan to arrive early for the lecture and enjoy the botanical gardens wonderful collection of trees, shrubs, wildflowers and ferns. Social change in America during the 1930’s brought about innovation in the design of domestic architecture. Frank Lloyd Wright and his contemporaries interpreted the new American lifestyle first into architectural theory, then design and finally built form. This lecture will take a closer look at the unique design of the Suntop Homes, created by Wright in 1938 and built in Ardmore, Pennsylvania, which represent an early example of the USONIAN principles that were his interpretation of American “modern” architecture. Christian Busch has nearly thirty years of experience in the fields of design and construction, he has worked on numerous renovation, modernization, rehabilitation and adaptive reuse projects involving locally and/or nationally registered historic structures throughout Philadelphia and the surrounding region. Mr. Busch’s professional practice focuses primarily on forensic analysis, historic preservation and architectural consulting. His extensive field experience in architecture, preservation and construction is complimented by a technical education in architecture and historic preservation from the University of Pennsylvania, an active involvement in professional associations, preservation advocacy groups and the local community. World War I will be the subject of the first lecture in the Trust’s Fall 2017 Lecture Series. Ryan Conroy, Historian and President of the Historical Society of the Phoenixville Area, will lead a discussion about the history of the men and woman who served during WWI from the northern Chester County region, from towns such as Phoenixville, Spring City and more. This talk commemorates the 100th anniversary of America’s involvement in World War I. Conroy will feature individual soldiers, regiments and the area’s contribution on the battlefront and the home front in his remarks and in a display of original items from his personal collection. On the eve of the opening of the 121st anniversary of the Devon Horse Show and Country Fair, Tredyffrin Historic Preservation Trust is delighted to welcome guest speaker J. Michael Morrison to the 2016 Spring Lecture Series on Wednesday, May 24 at Jenkins Arboretum*, 631 Berwyn-Baptist Road, Devon, PA. Reception will begin at 7 PM, followed by lecture at 7:30 PM. The Philadelphia Main Line was largely created by the Pennsylvania Railroad as a means of getting people out of the city to enjoy the cooler countryside. At each station, an inn was built to accommodate guests. One of the most beautiful and elaborate inns along the route was the Devon Inn. From 1882 to 1913, many wealthy and socially prominent families from Philadelphia and elsewhere spent their summers there. The Devon Horse Show itself was once held on the lawn of the magnificent inn. Join us for the history of the Devon Inn, including thought-provoking images taken throughout the period. Michael Morrison is the President of the King of Prussia Historical Society (est. 1953) and a member of the board of directors of the Tredyffrin Easttown Historical Society (est. 1936). He is the author of three books pertaining to local history, and a third-generation antiques dealer and appraisal consultant. Michael was also a founding member of the “Rediscovering Devon” Committee, created to document and preserve the rich history of the Devon Horse Show and Country Fair. * The Trust is grateful to Dr. Harold Sweetman and the Jenkins Arboretum & Gardens, for their generous sponsorship of the “The History of the Devon Inn” lecture on May 24. Plan to arrive early for the lecture and enjoy the botanical gardens wonderful collection of trees, shrubs, wildflowers and ferns. A wonderful lecture with award-winning author and journalist Bruce Mowday. Photos from the April 12, 2017 lecture. Chester County Author Bruce Mowday will talk about two of his books covering “Jailing the Johnston Gang” and the “September 11, 1777, battle of Brandywine. Mowday covered the Johnston Gang while a reporter for the Daily Local News and was recently interviewed for a segment on Discovery ID television connected to the Johnstons. The battle of Brandywine as the main defense of Philadelphia, the largest land battle of the war and the first battle for Lafayette in America. Survivors of Brandywine spent that winter in Valley Forge. United States history almost changed on September 11, 1777, as George Washington almost dies. Washington’s army also almost ceased to exist. 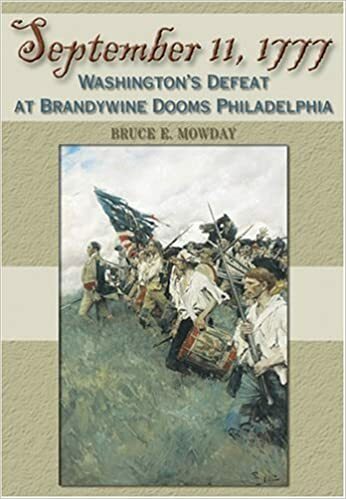 “September 11, 1777: Washington’s Defeat at Brandywine Dooms Philadelphia” is the first book on the historic American Revolution battle that was the main battle of the Philadelphia Campaign. This was Lafayette’s first battle and the Continental Congress fled Philadelphia after the battle. “Jailing the Johnston Gang: Bringing Serial Murderers to Justice” is the inside story of the dedicated law enforcement team that brought to justice serial murderers Norman, David, and Bruce A. Johnston Sr.
For more than a decade the Johnston Gang terrorized communities throughout the East Cost of the United States by stealing millions of dollars’ worth of property. When gang members couldn’t intimidate witnesses to their many crimes, they murdered them. Bruce E. Mowday is an award winning author and newspaper reporter. He has authored more than 15 books on history, sports, business and true crime. Mowday has appeared on the Discovery ID channel, C-SPAN, the Pennsylvania Cable Network and Philadelphia and local television shows. He is a contributing editor with Business 2 Business magazine. Mowday has hosted his own radio shows and was chairman of the Chester County Historical Society and president of the Brandywine Battlefield Park Associates. He is a board member of the Valley Forge Park Alliance and the Chester County Conference and Visitors Bureau. He is a frequent speaker at various civic and historical groups. For more information on Mowday, his books and his schedule of events, see www.mowday.com. Author Mark E. Dixon will entertain the audience with stories from his book, ‘Hidden History of the Main Line’, a collection of articles from Main Line Today which explores the region’s offbeat and oft-forgotten history. Beyond the grand facades and trappings of the Main Line cream-and-crystal crowd are hidden tales and scintillating stories. With a keen eye and a touch of humor, Dixon delves into the Welsh origins of nearly unpronounceable towns and the journey of the Sound of Music’s Trapp family to Merion. From anecdotes of the social who divorced her husband when had the gall to survive the sinking of the Titanic to the Wayne native who turned from the convent to a career as an internationally renowned opera star, Dixon brings to light the lost pages of Main Lin history. Mark E. Dixon has lived in the Delaware Valley since 1987. Though not himself a native, he grew up hearing about “the beautiful city of Philadelphia” from his mother, who moved here in 1945 to do social work. And the roots go deeper: Dixon’s mother chose Philadelphia based on stories told by her grandmother. In 1886, Dixon’s great grandmother, a descendant of some of the region’s earliest settlers—was a shop girl at Wanamaker’s Grand Court, opposite city hall in Philadelphia. And there, though it was surely against John Wanamaker’s rules, great-grandmother let herself be romanced by – and later married – a Midwestern Quaker who was in town on business but needing a pair of gloves. Those tales provided a window into the area’s history. The public relations job that drew Dixon to the Delaware Valley vanished in a spectacular corporate bankruptcy three years later. Eventually, he returned to work as a writer – this time, freelance – building on earlier experience as a reporter for newspapers and trade publications. The stories in this book are columns that he began writing for Main Line Today magazine in 2003. Dixon and his family live in Wayne. Books available for purchase and signing following the lecture. Learn about the man who inspired the season’s hottest show on Broadway, Hamilton! The first lecture in the Trust Fall Lecture Series, “Alexander Hamilton: Architect of the American Financial System” will feature local historian and author Gene Pisasale as Colonel Alexander Hamilton. Don’t expect Pisasale to rap or dance, but he will entertain and enlighten as he appears in full Continental Army officer’s uniform to share the story of Alexander Hamilton (1757-1804). Alexander Hamilton is one of the most important, yet least understood of the Founding Fathers. Orphaned as a young boy on the island of St. Croix, he later emigrated to the colonies and fought as a soldier in the American Revolution. He became a trusted aide-de-camp to General Washington, serving through most of the war and fighting at the final victory at Yorktown. Hamilton was an important contributor to the U.S. Constitution and the Federalist Papers, later becoming the first Secretary of the Treasury, where he transformed a bankrupt nation into an efficient government able to pay its debts, issue currency and regulate trade. His accomplishments stand among the most critical in the founding of our nation. Join us on October 27, 2016 as Gene Pisasale performs a “Living Biography” as Colonel Alexander Hamilton. Gene Pisasale is an author and lecturer who lives in Kennett Square in Chester County. An avid history buff, he started writing novels after 30 years in the energy and investment industry. He holds a Master’s Degree in Petroleum Geology and an MBA Finance. Gene is a member of the Chester County Historical Society, Chadds Ford Historical Society, American Friends of Lafayette, Friends of Brandywine Battlefield and is an approved speaker for the Delaware Humanities Forum. On the eve of the opening of the 120th anniversary of the Devon Horse Show and Country Fair, Tredyffrin Historic Preservation Trust is delighted to welcome guest speaker J. Michael Morrison to the 2016 Spring Lecture Series on Wednesday, May 25 at Jenkins Arboretum, 631 Berwyn-Baptist Road, Devon, PA. Reception will begin at 7 PM, followed by lecture at 7:30 PM. Local historian Morrison will present, “Rediscovering Devon”, based on the Society’s book, created to commemorate the history of the Devon Horse Show since its inception in 1896. The oldest and largest outdoor multi-breed competition in the country, Devon’s history is interwoven with the history of the Main Line and Chester County and continues to be part of the fabric of our community. A native of Upper Merion Township, Morrison has enjoyed a lifelong interest in local history and is currently involved in historic restoration and architectural interior design, featuring antique and re-purposed materials. Morrison is the President of The King of Prussia Historical Society and has written three books, “Images of America”, “Then and Now”’, an in-depth look at the history of King of Prussia and “Upper Merion Township: The First 300 Years”. A few names are known – General George Washington, the Marquis de Lafayette, perhaps Baron Steuben, General Henry Knox, or General Nathaniel Greene. But few people know many of other names—nor any of the stories— of the 12,000 or more soldiers who marched into camp on December 19, 1777 and spent the winter at Valley Forge, the third encampment of the long Revolutionary War. In this talk you’ll learn of a Valley Forge soldier who fought valiantly throughout the war, then find out what happened to him when the war ended. Of a private soldier who wrote poetry at camp and a French officer who lugged eight volumes of French comedy with him across the Atlantic. You’ll find out about a passionate newlywed, a despondent father, the Captain whose wife begged him to return home. And the last written words of a faithful husband and loving father. Through these stories and others from Valley Forge—all true, all carefully researched — the encampment itself will become alive with purpose, passion, and despair. As for you – you’ll discover a Valley Forge that you never knew existed. Dr. Nancy Loane, a former seasonal park ranger at Valley Forge National Historical Park, is the author of the popular, critically acclaimed book Following the Drum: Women at the Valley Forge Encampment (Potomac Books, 2009) which was awarded the American Revolution Round Table of Philadelphia’s “Book of the Year Award ” (2009). Nancy also writes about Valley Forge for the Journal of the American Revolution and several other publications. An outstanding speaker, Dr. Loane has given almost 200 presentations throughout the country (including at the Library of Congress, Colonial Williamsburg, and The David Library of the American Revolution) on the soldiers and letters from the soldiers at camp, Martha Washington, and the women who came to the Valley Forge encampment. Her fascinating, fact-filled talks bring those who wintered to Valley Forge to life, as well as shed new light on the famous Valley Forge encampment itself. Greg Huber will present “The Unique Tredyffrin Log Bank Barn and Its Distance Log Barn Cousins” on Wednesday, October 21. His talk will focus on the unique Tredyffrin Township log bank barn, the Jones Log Barn, that was dismantled in the fall of 2000. This barn had some remarkable aspects and even its mere existence and survival into the 21st century was miraculous. Included in Huber’s talk is a perspective on log barn architecture as it developed in southeast Pennsylvania and beyond. Its evolution makes for a fascinating tale and the unusual role that the Jones Log Barn played. The barn was a very rare English based structure as opposed to the far more common German related constructed log barn styles that were built in many counties in Pennsylvania. You will learn many of the constituent parts of these very old structures and also gain some insight into how to estimate the construction era of old barns. It is not as difficult as you might imagine. Greg Huber is a barn and house historian, consultant, and owner of Past Perspectives and Eastern Barn Consultants who creates house and barn histories. Since 1971, Huber has specialized in pre-1840 house and barn architecture of Holland Dutch, English, and Pennsylvania Swiss-German cultures. Huber has documented more than 8,000 vernacular buildings, over 3,000 homestead houses and 5,000 barns. He has authored 200 articles and co-authored two books — ‘The New World Dutch Barn’ and ‘Stone Houses -Traditional Homes of Pennsylvania’s Bucks County and Brandywine Valley’. Connie Potter will talk about “Women in Revolutionary War Era Records.” Although there are few records of women soldiers in the Revolution, the National Archives holds records that describes the lives of women both during and after the war. Included in her talk is Barbara Syren, who fought briefly in Col. Oliver Spencer’s Regiment; the pension file of William and Mary Graham, who lived in upstate New York after the war; Esther Damon, who received a widow’s pension until 1811; and Sarah Townsend, who petitioned the Continental Congress for grievances against the British Navy. Potter’s lecture will include images of many of the records. She will also explain how you can find the records online at local libraries and the Philadelphia Branch of the National Archives. She will leave time for questions and answers at the end of the lecture. Constance Potter is retired from the National Archives and Records Administration in Washington. At the Archives, she specialized in federal records of interest to genealogists and helped prepare for the openings of the 1920, 1930, and 1940 censuses. She also lectured and wrote on a variety of topics including Women in the Revolutionary War, The Papers of the Continental Congress, Laura Ingalls Wilder in Federal records, the influence of weather on genealogy, and census records. Now a volunteer at the National Archives, Potter is preparing a reference information paper on finding records for soldiers who fought in World War I.
Click on Spring 2015 Lectures Series for additional information. Greg Prichard an experienced designer, historian, and lecturer. A native of Wayne, he pursued a master’s degree in historic preservation planning at Cornell University, where his thesis explored the history and preservation issues relating to the historic train stations of the Main Line. His business, Prichard Design & History Studio (www.designandhistory.com), focuses on bringing historic sites to life through projects such as interpretive signs. He is a board member of both the Radnor Historical Society and the Tredyffrin-Easttown Historical Society. Greg will talk about several train stations of the Main Line, focusing on those in Tredyffrin and Easttown Townships. Main Line development began with the railroad as its commercial and social backbone, from the inns that depended on its patrons in the 1830s to the builders who clustered housing developments around train stations in the late 19th century. The stations were built as grand statements of corporate superiority and many remain as recognizable gateways to their communities. Greg will speak about station architecture and history, myths vs. reality, the evolution and growth of the railroad in the area, and how past (and future) restoration efforts helped the stations to endure. The Trust thanks guest lecturer Greg Prichard for his charitable sponsorship of this lecture and his continuing historic preservation work in the community. Paul Eisenhauer will give an illustrated talk about Wharton Esherick’s life and work in Chester County, with particular emphasis on Sunekrest, the farm that he and his wife Letty purchased in 1913, and which the Museum re-purchased in 2014. Dr. Eisenhauer will share some of the Museum’s plans for utilizing the space. Paul Eisenhauer received his Ph.D. in Sociology from the University of Pennsylvania. After a 20 year teaching career, he left academia for the Museum world. He started at the Wharton Esherick Museum as a volunteer in 2003, became Program Director in 2005, Curator in 2008 and Executive director in 2010. He co-curated Wharton Esherick and the Birth of the American Modern at the University of Pennsylvania in 2010-11, and co-edited the catalog for the show. Hehas edited several books on Esherick for the Wharton Esherick Museum. The Trust is grateful to Dr. Harold Sweetman and the Jenkins Arboretum & Gardens, www.jenkinsarboretum.org for their generous sponsorship of the “Wharton Esherick Museum: Telling the Story, Preserving the Legacy” lecture on May 7. Plan to arrive early for the lecture and enjoy the botanical gardens wonderful collection of trees, shrubs, wildflowers and ferns. Click on Fall 2014 for additional lecture details. Sean Moir presents a program describing Revolutionary War troop movements in Chester and Delaware Counties. Known as the Philadelphia Campaign, this included three battles within two weeks: the Battle of Brandywine, the Battle of the Clouds, and the Paoli Massacre. Sean’s presentation establishes the context of the Philadelphia Campaign within the American Revolution, and uses unique animated maps to help tie these events to local sites. As part of a multi-award winning county project, sponsored in part by the National Park Service and the American Battlefield Protection Program (ABPP), Sean has worked for the last three years researching, mapping, and animating the conflicts of the 1777 Philadelphia Campaign, specifically the Battle of Brandywine and the Paoli Massacre. Sean Moir is owner and president of Western Heritage Mapping in Valley Forge. After graduating from Penn State University with an Information Technology degree, Sean worked as a software developer, and in 2007 joined Chester County as a GIS Analyst. Since 2009 Sean has sought and received multiple grants from the ABPP to research and document revolutionary war battles in Chester County. Combining his software and GIS skills with his personal interest in history, Sean creates groundbreaking animated battle maps, which have been presented to audiences across the region and are now being incorporated into school curriculums, and are on display at museums. In addition to his work in Chester County, Sean has done work for the Pencader Heritage Area Association in Delaware (site of the Battle of Cooch’s Bridge), the Clivden House in Germantown (site of the Battle of Germantown) and the Friends of Valley Forge Park. Sean currently has an animated map on exhibit at the American Swedish Heritage Museum showing the growth and development of the New Sweden settlements in the 17th Century. Click Fall 2014 for Fall Lecture Series details. Some people collect antique cars. Some people collect works of art. Brad Tiffany, Tredyffrin Historic Preservation Trust board member and building committee chair, collects barns. That’s right – not barn models, but the real thing. Brad will share with us stories about his collection of barns, including the original 1832 English Lake District barn that stands on his property in Upper Providence Township, Montgomery County. In addition he will share pictures and stories about several of the Montgomery County standard bank barns he has dismantled and saved as well as a Chester County style conical post forebay bank barn that stood in the Newtown Square area and a double decker Lake District barn from Arcola, PA. Photos of the antique farm equipment found in these buildings will be part of the presentation. And most amusingly, Brad will entertain us with the story of how his original plan to buy the barn when it was to be removed from its home in Tredyffrin Township turned into years’ long effort to save the Jones Log Barn for the community. Local residents have heard about the Jones Log Barn for years, but many have never seen the original structure. Brad will share his pictures of the barn before it was dismantled. We are so glad that Brad did not buy the Jones Log Barn, and has been such an integral part of the effort to save the barn for all to enjoy. “NC Wyeth House & Studio, Andrew Wyeth’s Studio, and the Kuerner Farm Legacies of the Wyeths and National Historic Landmark in our own backyard? Historic preservation planner and principal in Wise Preservation Planning, Robert Wise will present NC Wyeth’s House & Studio, Andrew Wyeth’s Studio and the Kuerner Farm, three properties that had a great influence on the life and work of these two most prominent members of the Wyeth family. Wise has worked extensively with the Brandywine Conservancy & Museum of Art over the past 15 years to achieve the highest recognition by the US government for these properties as National Historic Landmarks (NHL). NC Wyeth’s House & Studio was listed as an NHL in 1997; the Kuerner Farm, where son Andrew Wyeth created the Helga series of works (among others) was listed in 2011. Andrew Wyeth’s Studio, a former oneroom schoolhouse, may actually be an officially recommended listing on the date of this lecture! painted there nearly his entire life. First purchased by his father NC, Andrew Wyeth’s studio next door served as his home and then just his studio for nearly 70 years; nearly a third of his works were produced or finished there. We welcome you to come learn about these wonderful places (then go see them for yourself). Come learn about the personalities behind the buildings, the people and events that help make them Landmarks, and of course, the stories behind the paintings that originated there. Finally, learn how the Brandywine Conservancy has painstakingly preserved and interpreted them. ** Note special location of this lecture. There is nothing tied more to the land than a stone house. Stone represents shelter, permanence, and local color. Traditional farmhouses were built with stone cleared from the fields making a statement about the wealth that could be derived from the land. Subtle differences in stonework communicated the growth of the homestead. At Hillside Farm, Okie’s own house, the small 18th century tenant farmhouse was his living laboratory for over 40 years of additions and modifications as he perfected his particular interpretation of the local architectural vernacular. The book “Stone Houses” looks at the precedents for Okie’s work, a sample of projects from his 50 year career and current homes that exemplify the same approach to placemaking. Copies of James Garrison’s book, “Stone Houses” will be available for purchase and author signing at the lecture. (Cash or personal checks only). A portion of all book sales go towards the historic preservation efforts of the Tredyffrin Historic Preservation Trust. To purchase Lecture Tickets using your credit card, click button below. (A $1 handling fee for use of credit card will be added to each ticket purchase). Exciting Fall 2013 Lecture Series – – click here — Fall 2013 Lecture Series for further details and order form for tickets. For questions about the lectures or to reserve tickets, please contact Lecture Chair Polly Hagan, 610-647-1051. The Keystone Marker Trust was founded in 2010 to protect the historic keystone-shaped town marker signs of Pennsylvania. These signs, typically painted blue and yellow, are found throughout the Commonwealth and were installed starting in the mid-1920s by the Pennsylvania Department of Highways, the predecessor to PennDOT. Though many towns have adopted and cared for their markers, there was no central group to advocate for them until the formation of the Trust. In addition to documenting and restoring historic markers, the Trust has also begun making new Keystone Markers for the first time in about 70 years, which are accurate in appearance to the originals. Founding members of the Trust, Nathaniel Guest and Greg Prichard will speak about the history of Keystone Markers, their meaning, an overview of Keystone Markers found on the Main Line, the work of the Trust, and the process by which new reproduction markers are created. Released during this 150th anniversary of the epic battle of Gettysburg, Pickett’s Charge: The Untold Story tells the story of the heroic defenders of the Union and especially the Philadelphia Brigade and its commander General Alexander Webb. Webb won a Congressional Medal of Honor for his valor that afternoon and later became President of the City College of New York. With the outcome of the Civil War in the balance, Webb and his fellow soldiers stopped the Confederates at a spot known as the High Water Mark of the Confederacy and saved the Union. J. Howard Wert was a soldier, educator and author born in Gettysburg in 1841. During the Gettysburg campaign, Wert who was a special scout for the Union, was detained by Confederate troops but escaped and aided General Meade’s Union troops. After the battle Wert and Frank Haskell, a member of General Gibbon’s staff, rode over the battlefield and Wert began collecting items from the battle. He continued collecting for years. Wert wrote a guidebook and authored other articles about the battle of Gettysburg. 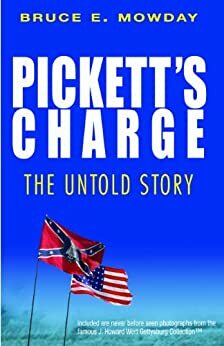 Noted Civil War author Ed Bearss wrote of Wert, “Wert walked in the very footsteps of history … but most of all he was a patriot.” Pickett’s Charge explores what the Union soldiers endured during the charge by the Southern forces.